This is one package pinout of 607-2CC-DM-1,If you need more pinouts please download 607-2CC-DM-1's pdf datasheet. 607-2CC-DM-1 circuits will be updated soon..., now you can download the pdf datasheet to check the circuits! 205-2CC-D-1, DPDT ; TPDT General Purpose Power Relay. 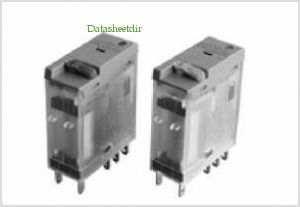 305-2CC-D-1, DPDT ; 4PDT General Purpose Power Relay. 401-2AC-C, DPST-NO Miniature PCB Power Relay.